8 newly created one, four, nine split screen images, and there are two camera angles , the screen displays are sharp. 12. Can be fixed by the REC button on the remote control video , you can save the movie based on U -disk capacity , with no loss of picture . 15. 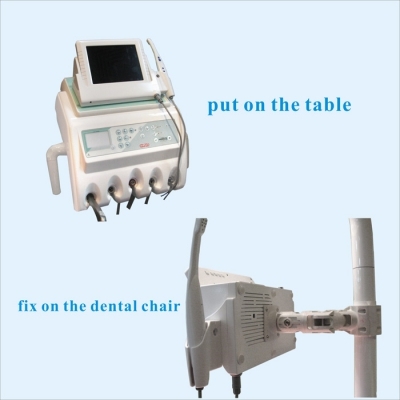 Optional M-22 monitor bracket to the dental chair. 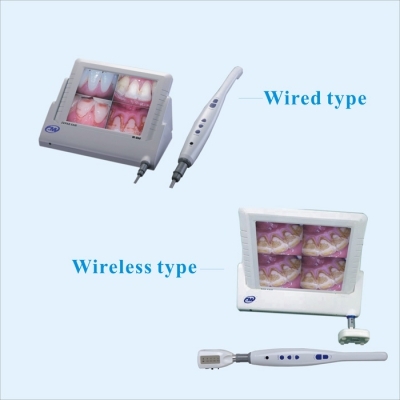 IC-019 1/4 CMOS High resolution,Camera with SD card , VIDEO output directly , or connect with computer through USB card reader. 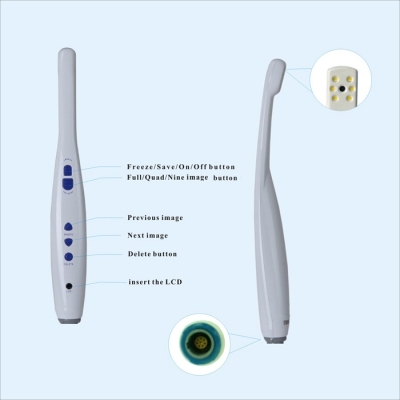 IC-032 1.3 USB Mega Pixels Oral camera , CMOS.